Not far from the town hall, our offices in Leigh are situated in the heart of Leigh itself, providing legal services right outside your doorstep. 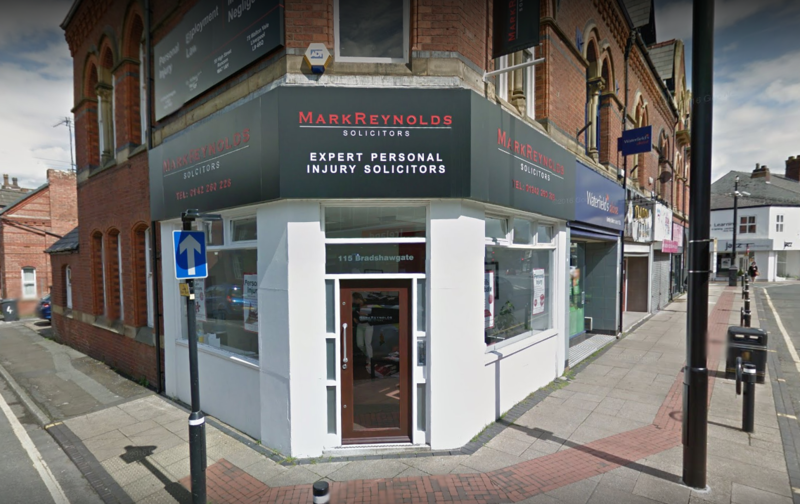 Mark Reynolds Solicitors Leigh is a full-service law firm, meaning we offer a wide range of legal services to both businesses and individuals alike. Our Leigh office is situated in the town centre so it is convenient for clients travelling by most forms of public transport. Mark Reynolds Solicitors are renowned for their work in medical negligence and family law, our Leigh office has solicitors with years upon years of experience in dealing with such issues, we hope this offers our clients in Leigh peace of mind. Unfortunately, there is no train station in Leigh, the nearest train station with central public transport is Warrington Central. Once at Warrington Central you can come straight to central Leigh by bus. Getting into Leigh by bus couldn’t be simpler as a large number of buses stop at the Leigh Bus Station, a 5-minute walk from our office. There is a small parking section right outside the office opposite Iceland, as well as this there is a pay and display car park around the corner.